Shipping: Please allow 1-4 weeks for delivery. 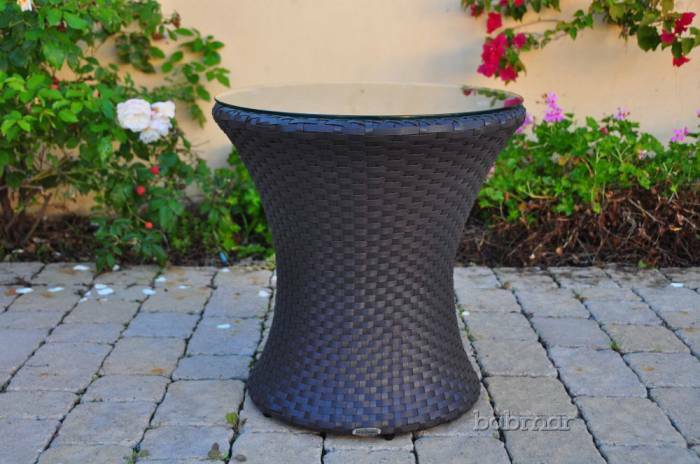 Hand crafted from tightly woven 'commercial grade' , man made resin fiber. UV, tear, and weather resistant in addition to being supple and soft to the touch. Resistant to salt and chlorinated water and colorfast to prevent fading. Wrapped over sturdy, medium weight, rust resistant aluminum frames. All covers are zippered, machine washable, and resistant to mold and mildew. Designed for extreme temperatures in both hot and cold climates. Virtually maintenance free- simply rinse it clean with a hose. Shipping Remarks: Please allow 1-4 weeks for delivery.